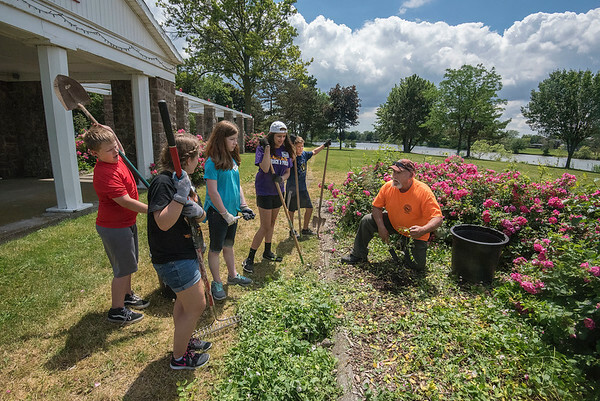 Niagara Falls, NY - City Forester Joe Urso instructs volunteers from Illinois and Wisconsin, part of a group of 12 doing mission work with the Youthworks organization. Youthworks volunteers joined up with Niagara Beautification to spruce up different areas of the city. Urso, said he has a short list of improvements including, Improving raised beds with new flowering roses, replant roses around pillars, repaint everything, remove and discard old decorations, weed and add mulch.